In 2006 a colleague of mine introduced me to Ubuntu. I still have the CD I burned that day when I installed it on my computer, it was Ubuntu 6.06 LTS (Dapper Drake). I didn’t know anything about Ubuntu or Linux before that. It took me awhile to figure out how Ubuntu and Linux generally worked. Back then, Ubuntu wasn’t as user-friendly as it is today there was no Ubuntu Software repository so everything was installed through Terminal or Synaptic. But It was through Ubuntu that I learned about the Open Source movement, and started using some Open Source tools like GIMP, Open Office, etc. then after I was familiar with Ubuntu, I started exploring other Linux distros like OpenSUSE, CentOS, and Debian. I used openSUSE for a while because I loved their GNOME 2 implementation but I always ended up going back to Ubuntu. Ubuntu was my baby. 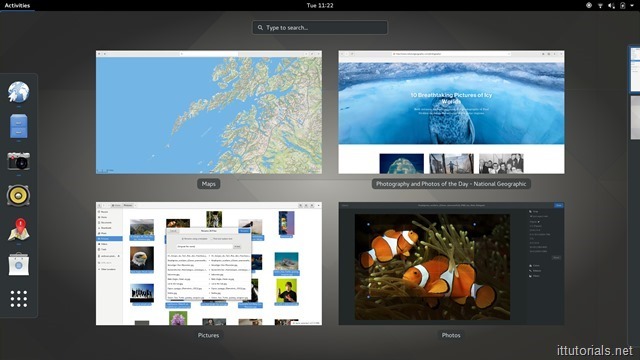 Around 2010, Canonical ( The parent company of Ubuntu ) announced a new Graphic User Interface ( GUI ) for Ubuntu called Unity. In my opinion, it was this new GUI that set Ubuntu apart from gazillion other Linux distributions out of there. It was polished and made Ubuntu very easy to use. In my opinion, Ubuntu 12.04 was the first Linux Desktop OS that could compete with Windows or Mac in terms of aesthetics and usability. With the release of Windows 8 being an epic failure, Ubuntu 12.04 had the right elements to become a more mainstream operating system. Even Dell and other hardware vendors started selling computers with Ubuntu preinstalled. I started using Ubuntu 12.04 as my main operating system on my work and home computers. I manage a Windows-based network at work, but besides Outlook ( which I use for e-mail ) I was able to work comfortably in Ubuntu. 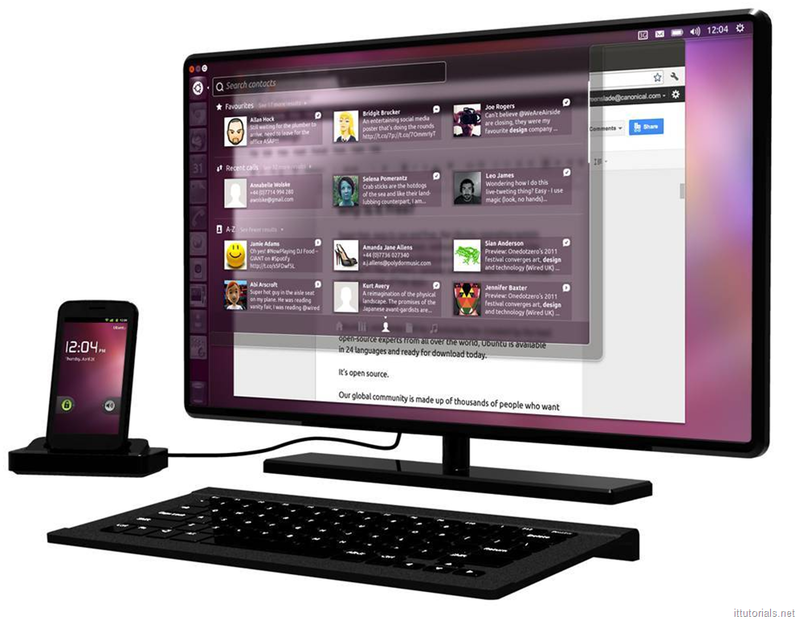 Then the mobile mania came along and canonical jumped on the bandwagon and sort of left Ubuntu Desktop on the side, and focus on their Ubuntu Touch ( the mobile version of Ubuntu ) project instead. Ubuntu Touch was a fiasco, Canonical was never able to find a reliable phone vendor to partner up and release their mobile phone OS, so there they were, without a clear strategy for their Desktop and Mobile OS. One of the most hyped features about Ubuntu Touch was the ability to convert your mobile phone into a full-blown desktop. The technology was called “Convergence”. It was something Canonical spent a lot of time and effort on, but the technology never made it to the public. There were a few demo videos released, but I don’t think anybody used the convergence technology on a daily basis. In 2014 Steve Ballmer announced he was stepping down as the Microsoft CEO, and Satya Nadella would be taking his place. Unlike Steve Ballmer who at some point called the Open Source movement “Communism” Satya Nadella embraced Open Source, and he had different plans for Windows. Microsoft released Windows 10 in July 2015, and it was a huge success. The classic start menu was restored, and the OS just worked out the box. Windows 10 not only restored the confidence of so many disgruntled Windows 8 users but also won back Linux users like me with their “Windows subsystems for Linux” feature. One of the main reasons I used Linux for was for web development. pushing code and working on a remote server using BASH in Linux is so much quicker than using Putty or an FTP client in Windows, but with Windows 10 BASH inclusion I can do that from the Command Prompt as well. Windows 10 is a solid operating system, and now being able to run Ubuntu as a subsystem within Windows 10 there is no need to use Ubuntu as my primary desktop anymore. In April 2017, Mark Shuttleworth the founder of Ubuntu announced that they were dropping the development of Unity and they would ship Ubuntu with GNOME instead. For me, that announcement was Ubuntu’s surrender in the desktop war. It quite must have been that creating a unique desktop interface for Ubuntu wasn’t as profitable as they originally thought, but for me, the main reason why Ubuntu desktop was never successful to the point of becoming mainstream was that of Canonical’s lack of focus. Ubuntu could have become the Windows 10 if they had continued improving Unity and putting a more cohesive ecosystem like a better App Store instead of wasting time and resources on farfetched ideas like convergence. Is GNOME better than Unity? GNOME 3 is a very nice looking and user-friendly Desktop Environment ( DE ) and it gets better in every release. GNOME has been around for a long time, and somehow computer hardware vendors have never been interested in selling Linux computers with GNOME, and my hypothesis is that the reason why is because GNOME is not business-friendly. GNOME is developed by volunteers and paid contributors, the largest corporate contributor is RedHat. Computer hardware vendors need reliable partners, and GNOME can’t provide that. RedHat could become the face of GNOME but I don’t think they are interested in the Desktop side of Linux. their business model is pretty much on the server side. As an Ubuntu user and Open Source evangelist, I would have loved to see Ubuntu becoming more mainstream on the desktop. Ubuntu is a big player on the server and is the primary choice for cloud computing solutions, but it failed miserably on the desktop, and at this point of the game, I doubt it will ever become a mainstream OS for the regular user.